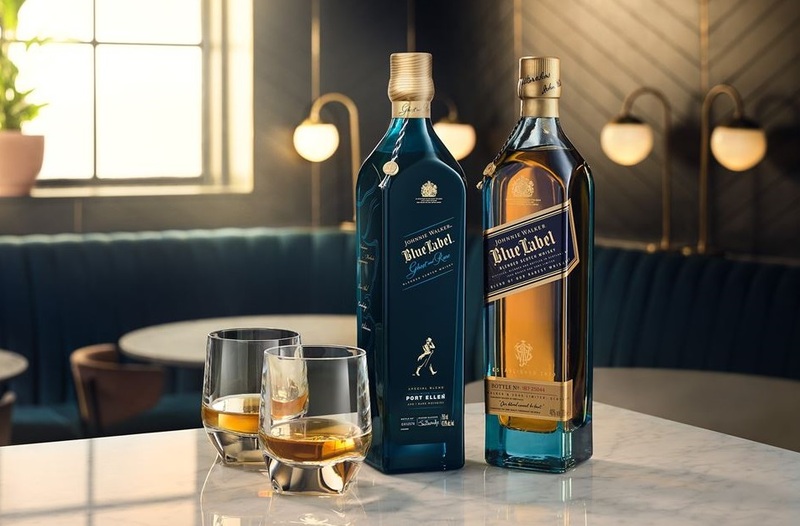 Diageo, has announced the launch of the second bottling in its limited-edition Johnnie Walker Blue Label ‘Ghost and Rare’ series, of blended Scotch whiskies. Johnnie Walker Blue Label Ghost and Rare Port Ellen (43.8% ABV) has been blended using whisky from the Islay based Port Ellen distillery, which closed in 1983, along with whiskies from Caledonian, Carsebridge, Mortlach, Dailuaine, Cragganmore, Blair Athol and Oban distilleries. Johnnie Walker Blue Label Ghost and Rare Port Ellen, follows on from the release of Johnnie Walker Blue Label Ghost and Rare Brora last year. Each edition in the series is said to offer a fleeting opportunity to savour the depth of character of whiskies from distilleries whose spirit lives on in their dwindling stocks. Even though the Port Ellen distillery is now silent, Jim has also said that he is excited to recapture the memory of the precious cargo of smoky Island single malts that was once carried on ships sailing from this famous distillery, by balancing its unique character with other rare whiskies. Johnnie Walker Blue Label Ghost and Rare Port Ellen, will be available from specialist retailers in October, for a RRP of £275.00.